Click Here To See Marvel Two-in-One #23 p 1 SPLASH In Comic Book! 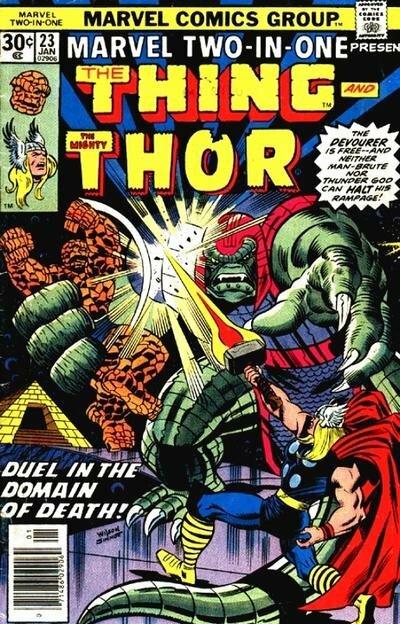 Click Here To See Marvel Two-in-One #23 Comic Book! 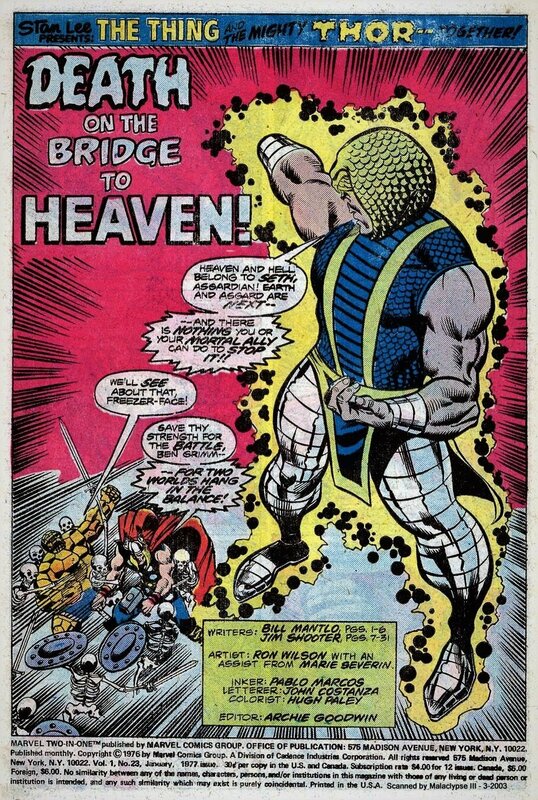 Check out this very nice 1976 BRONZE AGE MARVEL SPLASH page, which was penciled by the great Ron Wilson and Marie Severin, and inked by Pablo Marcos, from the story titled: "Death on the Bridge to Heaven!" This nice splash page features The Thing and Thor battling several skeleton creatures, as Seth, the Egyptian god of death watches from above! Compare this nice SPLASH to the published splash in the red link above! 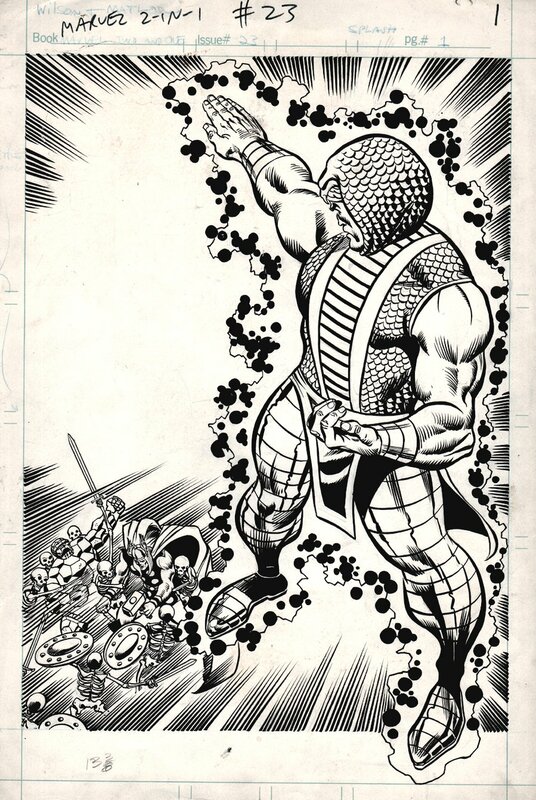 BRONZE AGE Marvel Super hero SPLASH pages are getting increasingly hard to find, so don't miss out on a great opportunity here to own a nice Bronze Age 1976 Marvel Two-in-One SPLASH page! ALL art on our website (including this one) are able to be purchased with VERY fair time payments, and trades are always considered towards "ANY" art on our website! Just send us an email to mikeburkey@aol.com and we can try to work something out.